Now Foosh mints are available in handy blister packs so that your mints stay fresh longer. Since each mint is individually sealed, it maintains its freshness until you\'re ready for it\'s caffeinated goodness. Foosh Energy Mints keep you going in a fast moving world! No time to brew coffee or chug a can of bad tasting energy drink? 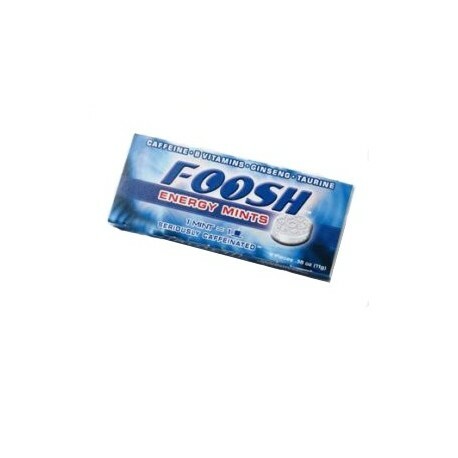 Sugar-free Foosh Mints are the most caffeinated mint around and contain the same kick as a cup of coffee. 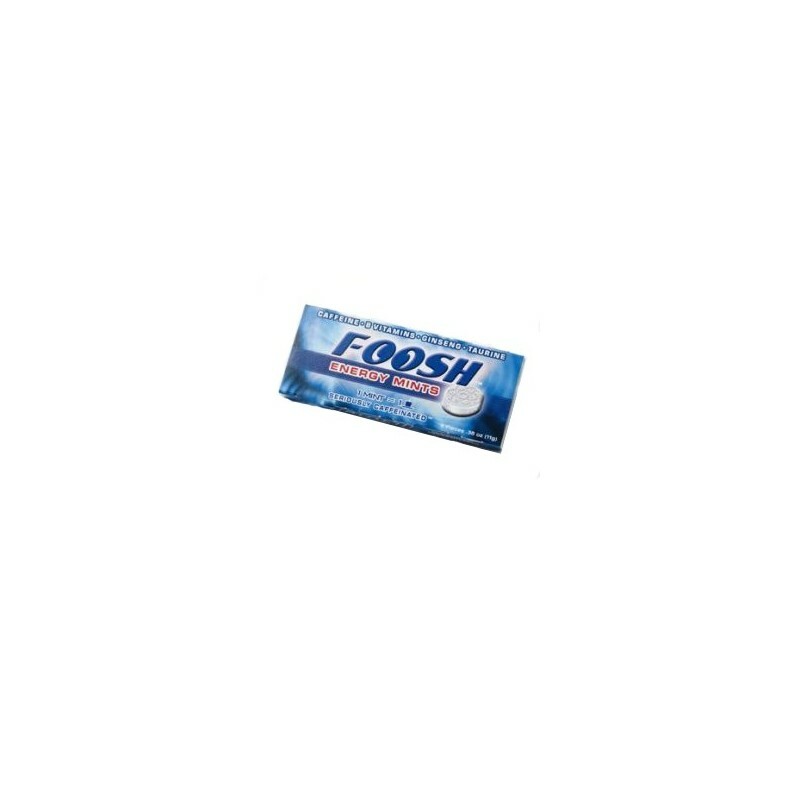 Foosh Energy Mints have a power-packed blend of caffeine, ginseng, taurine, and five B vitamins. No chilling, no heating, no spilling! Each and every Foosh Mint contains 25% MORE caffeine than an entire can of the leading energy drink. 100mg of caffeine per mint to be exact. Each blister pack contains 6 mints. Overall great. Nice minty taste (more minty than the jolt mints or the warp mints in my opinion). Big dose of caffeine in a nice small mint and a small, easy to carry package. Perfect energy mint. This product rocks. I also didn't experience a bad crash.I recommend only one a day because these are extremely powerful. These have a strong minty taste and a distinct caffeine after taste when you dissolve them slowly in your mouth. I would suggest chewing. Otherwise, a good stimulant.